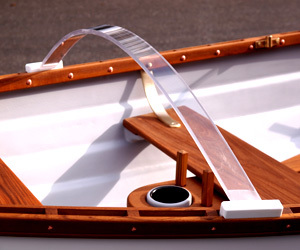 A fitted cover with added reinforcement on transom, bow, and oarlock socket positions. These covers handle the elements for many years and do not fade. 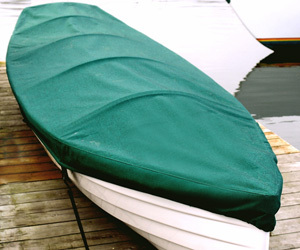 There is a perimeter line and tabs with grommets for securing the cover with lines run under the boat or with elastic hold downs on a dock. To view the color choices for Sunbrella covers, please visit the Sunbrella fabrics page. 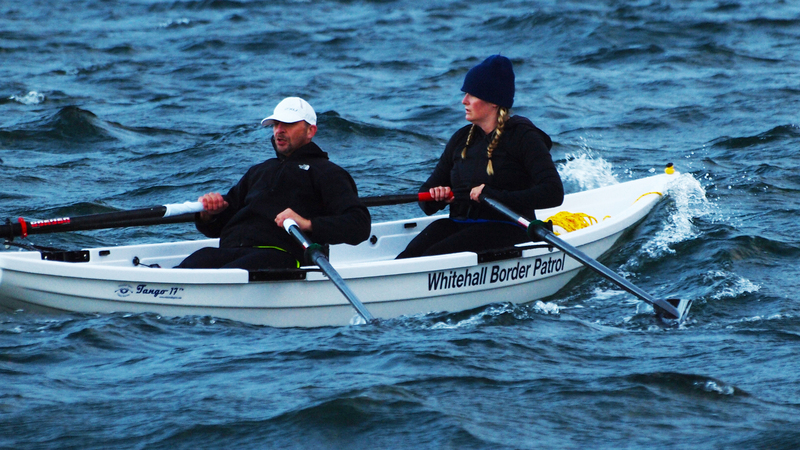 NOTE: Only fabrics that are 60″ wide are available as Whitehall boat covers. 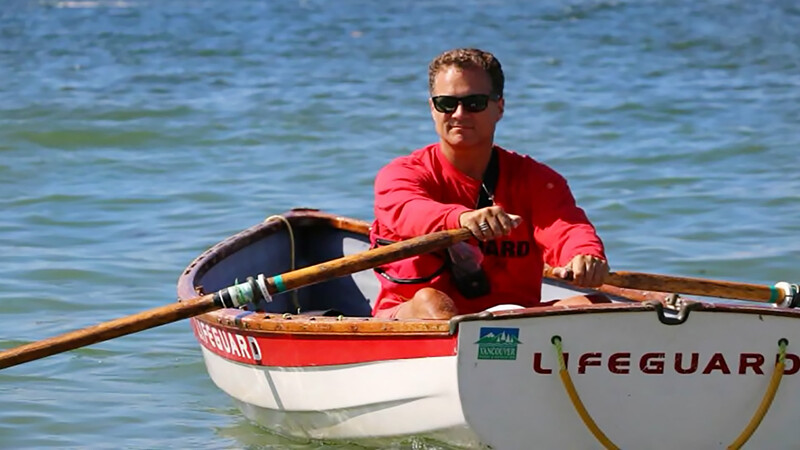 These heavy-duty Lexan battens will last as long as the boat. Lexan is virtually indestructible and stays springy for the duration. The copolymer batten ends are also unaffected by sun or water. The covers shed rain and prevent water pooling. Three battens fit on the 11.6 and 14 models, and four on the 17 boats. High-density, 2-inch, foam-covered cushions in Sunbrella® canvas are designed with extra comfort in mind. 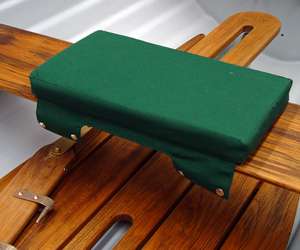 Fixed seat rowing cushions are available for any of our models available singly or as a set of two or three. Custom colors available.